Post 16 opportunities are available within Colleges, Sixth Forms, Training Providers and Apprenticeship Schemes. Please use the following pages to research opportunities that are on offer to you. Miss C Pavitt – Careers Guidance and Work Experience Lead – Miss Pavitt is available in the careers office to provide advice and guidance on careers. Mrs L Roberts – Mrs Roberts is available in the main administration office to give support and advice to students to arrange Work Experience placements. Mr M Wesley – Mr Wesley can provide information and advice about 6th form opportunities. Mr M Denison – Assistant Headteacher, Key Stages 4 and 5. Mrs D Lowe – Library Manager – Mrs Lowe is able to give you advice and information on careers resources. Julie Consterdine – Connexions Officer – from Derby Local Authority, in school one day a week. 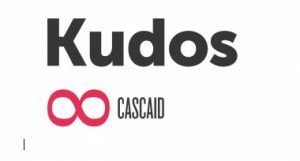 Kudos is the leading career development service helping you to explore, develop and maximise your potential. Click here for more information.